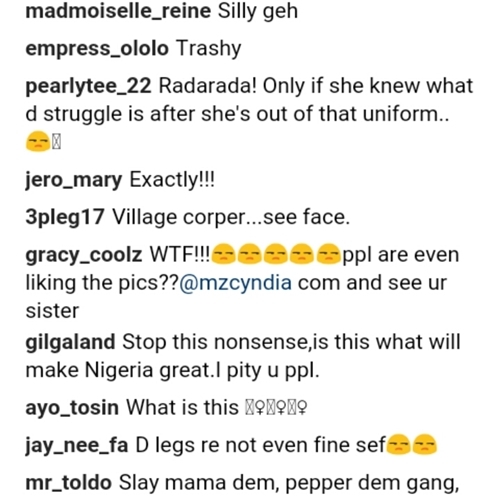 The above photos of a s*xy member of the National Youth Service Corp (NYSC) have emerged online and is generating mixed reactions and criticisms on social media over this sultry outfit the corps member rocked. 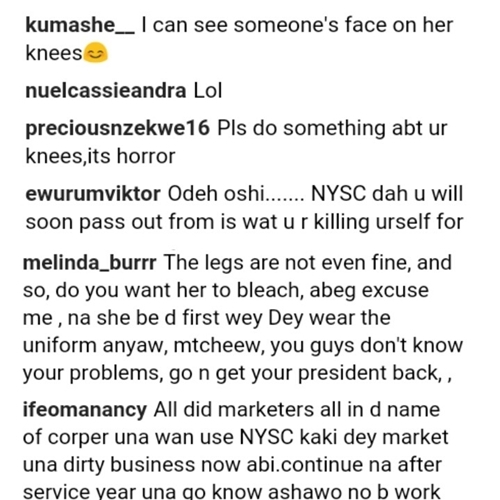 The identity of this Omo S*xy female corps member or where she is currently serving in the country, were not ascertained by TORI News as at the time of filing this report. ← Will You Marry Me? If i give you this car? Ini Edo’s ”Sister” Queen Wokoma’s Beauty Asked..